Booker T Washington Senior High School celebrates its 90th anniversary with a parade through Overtown. 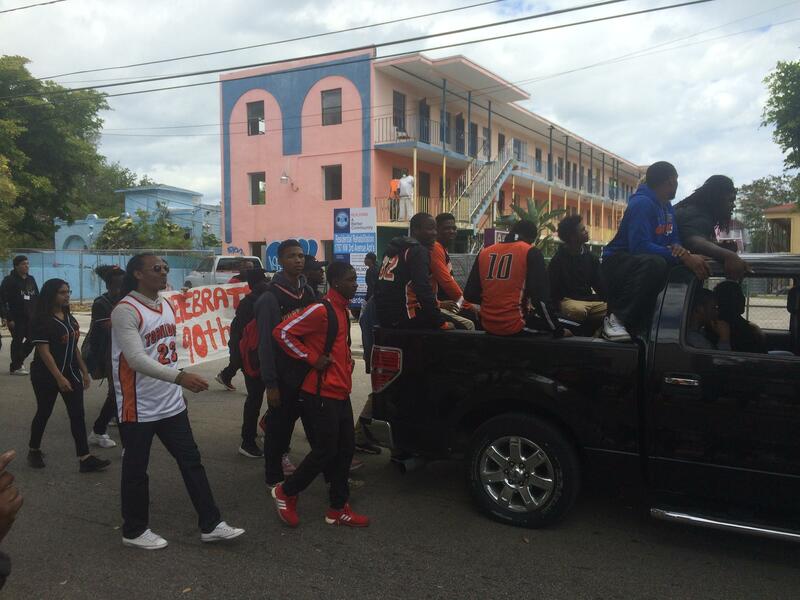 School administrators said they hoped Booker T students left the parade with a better sense of the school's history. 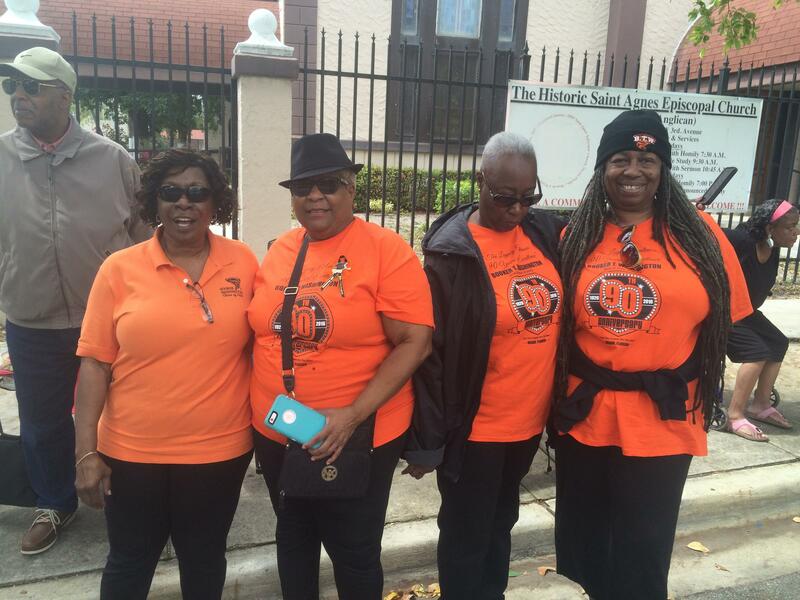 Norma Jean Walker and the "Golden Crew," a seniors' group from Overtown's Meek Manor, turned out to represent their alma mater. When Booker T Washington Senior High School opened in 1927, says vice principal Kevin Lawrence, it was the only place in South Florida "where black students got the opportunity to earn high school diploma, going as far up as West Palm Beach and as far south as Key West." On Friday, the school celebrated its 90th birthday with a parade through Overtown. From his perch in the back seat of a bright white convertible, Lawrence said he hoped his students would come away from the day with a better understanding of the school’s history. No fewer than four marching bands took part in the occasion, with the green and white of Miami Central High School and the blue and gold of Miami Northwestern marching behind behind Booker T’s black and orange. 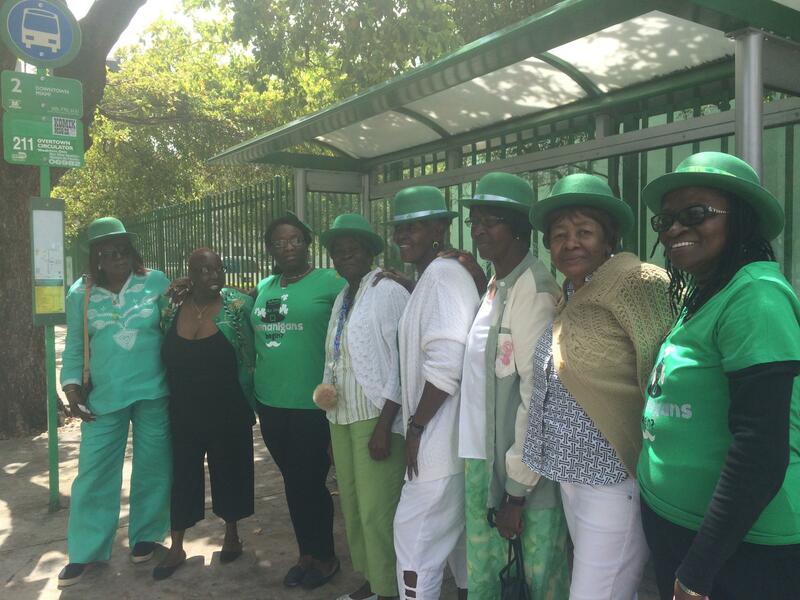 Alumni showed their colors along both sides of NW 3rd ave, offering their affiliations with the school—“Albena Sumner, Solo Twirler, marching band, Booker T Class 1967”—by way of introduction. From left to right, Antoinette Smith, an honorrary member of Booker T's Class of 1968, together with Paula Campbell-Brown, Carolyn Jones, and Albena Sumner, all class of 1967. In 1967, court-ordered desegregation converted Booker T into a middle school, and its students were scattered to three nearby high schools. The school built up traditions like a standout music program through the 1960s, when court-ordered de-segregation made Booker T a Middle school and scattered its students to three different high schools with a bussing program. Antoinette Smith says Miami Jackson high was 98% white at the time, and not nearly as nurturing as the school she left behind. Booker T re-opened for high school grades in 1999. Last year Smith finally got her diploma there, as an honorary member of the class of 1968. Sixty-eight was also the year I-95 opened, after construction for the expressway’s ‘Midtown Exchange tore through the heart of Overtown. “My grandparents had a great house on 11th St, and a business on 11th terrace that was destroyed as a result of that,” said Paula Campbell-Brown, who had just graduated high school when urban renewal came to town. “It destroyed our school as a senior high, and those classes beneath us were devastated,” she said.